Well done to our seniors who defeated Clonguish last Saturday in the second round of the Tain League . Training continues on Wednesday in Ballyvary at 7pm, Home game next Saturday V Salthill/Knocknacarra in round 3. Church Gate Collection next weekend, please contact John Lyons for your Mass Times if available to help. 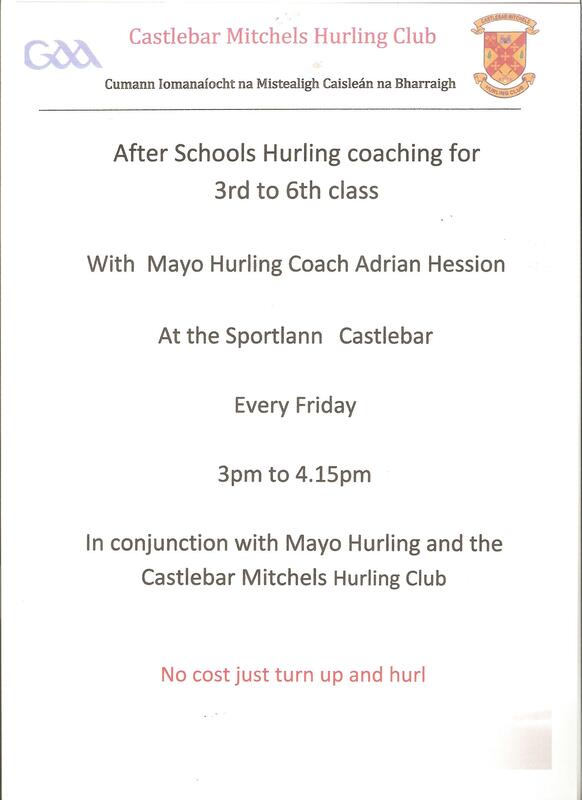 After Schools hurling Project starts next Friday in the Sportlann from 3pm to 4.15 pm for 3rd class to 6th Class pupils, Adrian Hession Mayo's top hurling coach will be in charge.